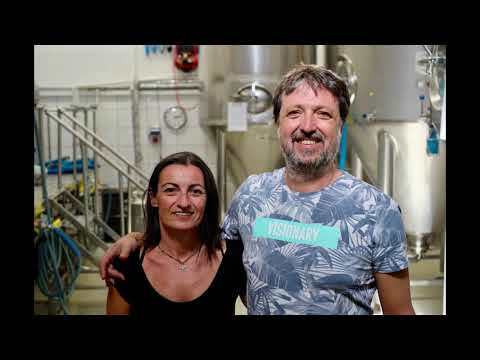 Pronto Food Service, a UK food wholesaler, are importing Gara Guzu craft beer from Turkey. Pronto Food Service is a UK food wholesaler founded by Fikret Eroglu in 2017. The company supplies restaurants, coffee shops and hotels nationwide. They are now seeking to import a container of a unique Turkish craft beer called Gara Guzu. Pronto is raising £20,000 to do this. In return they are offering repayment in 6 months plus 8.5%. You'll also become a friend of Pronto Food Service. Import Gara Guzu Beer successfully raised £20,020 to fund the production of 910 cases 95 days ago. Check back soon for more offers. The inspiration for importing Gara Guzu came to Fikret in early 2018 as he was talking to a a colleague about the lack of quality Turkish beers in the UK market. Fikret began researching this and to his surprise found the brand Gara Guzu which was then undiscovered. Fikret contacted the manufacturers, a husband and wife team based in Mugla in Turkey, and a meeting was arranged. So began a promising business relationship. Pronto Food Service is now seeking to import a container of Gara Guzu beer which will be sold through Pronto's existing distribution network. This will be the first ever craft beer imported to the UK from Turkey and Pronto is inviting you to share in this opportunity. Pronto Food Service sells fresh fruit and vegetables, drinks, frozen goods, dry foods, pulses, herbs and spices and hygiene and packaging products nationwide. The company has over 2,000 SKUs. Pronto's proposal is to import a container of Gara Guzu beer for sale in the UK market. Demand has been tested with key clients including restaurants, bars and pubs and Fikret, Pronto's Founder is confident the product can be sold in a 6 month timeline. Pronto will import 910 cases of Gara Guzu beer covering all 9 varieties. Each case contains 24 bottles (total of 21,600 bottles). The order will be placed at the end of January and Pronto expects to receive the craft beer by mid-February. Gara Guzu is already selling well in Germany, Japan, Canada and Australia. You can fund each case for £22.00. In return Pronto is offering to repay in just 6 months plus 8.5% profit. You'll also become a Friend of Pronto Food Service.